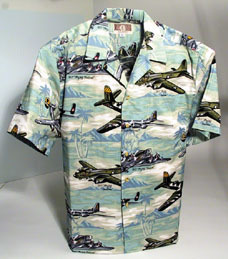 There are plenty of Hawaiian Aloha shirts out there, but none with aviation prints workded into the tropical motif. We found these shirts on the Hawaiian island of Oahu. As cool to wear as a tropical trade wind. Made of 55% cotton and 45% rayon. 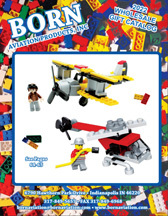 7 styles to chose from.